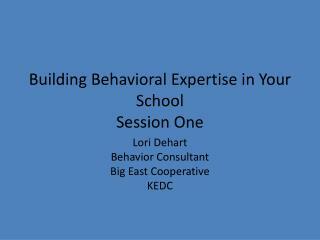 Faculty Expertise/Bio Project. 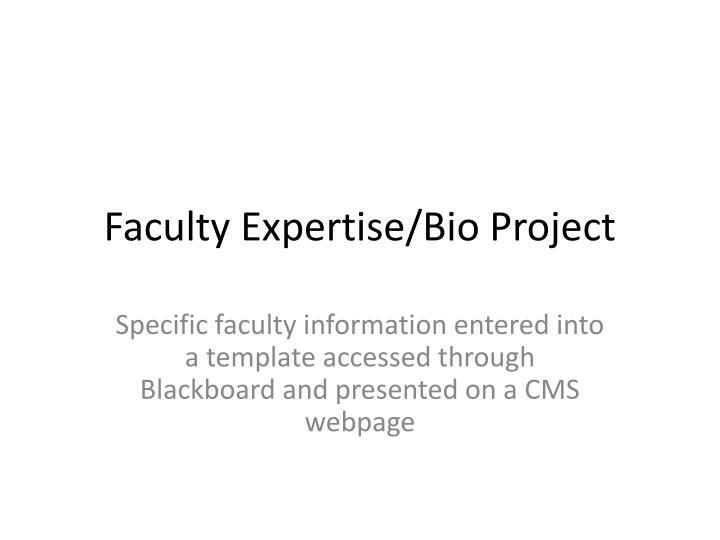 Specific faculty information entered into a template accessed through Blackboard and presented on a CMS webpage. 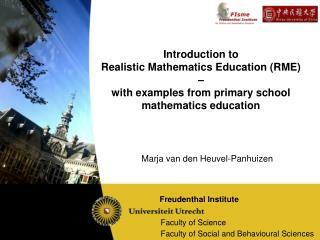 Why create a Faculty Expertise/Bio Template?. 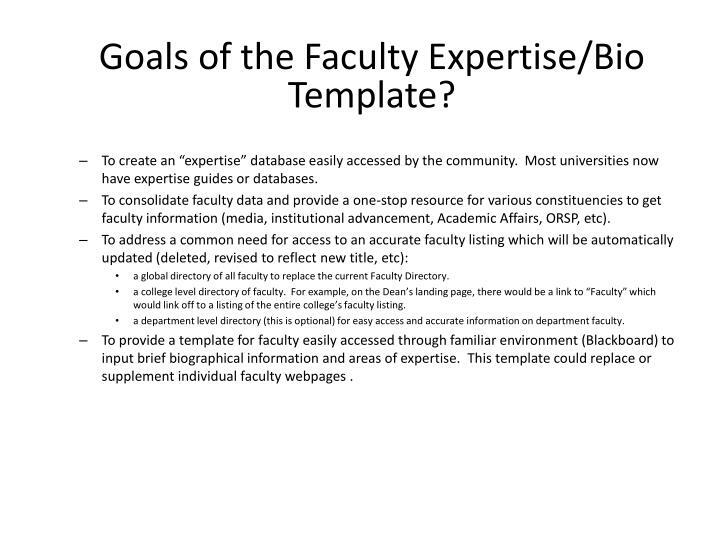 Why create a Faculty Expertise/Bio Template? 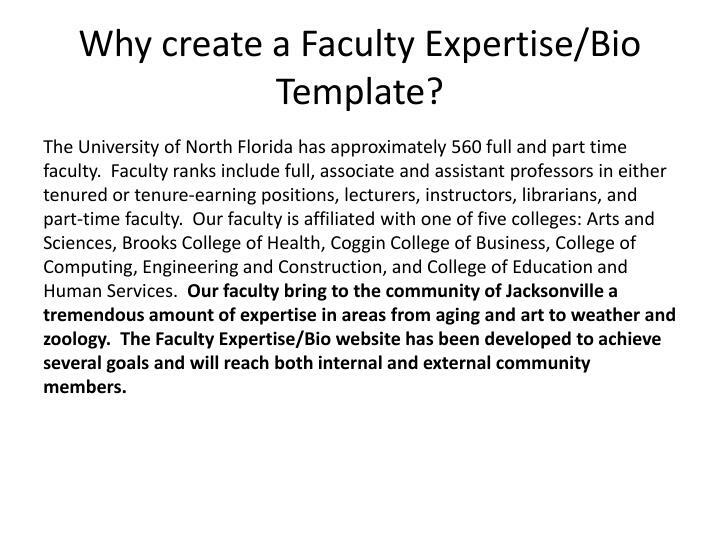 The University of North Florida has approximately 560 full and part time faculty. 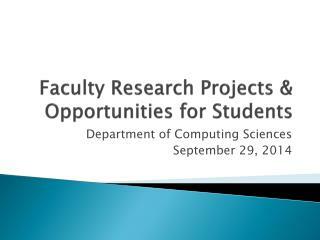 Faculty ranks include full, associate and assistant professors in either tenured or tenure-earning positions, lecturers, instructors, librarians, and part-time faculty. 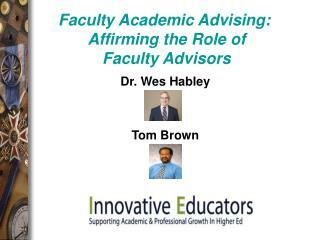 Our faculty is affiliated with one of five colleges: Arts and Sciences, Brooks College of Health, Coggin College of Business, College of Computing, Engineering and Construction, and College of Education and Human Services. 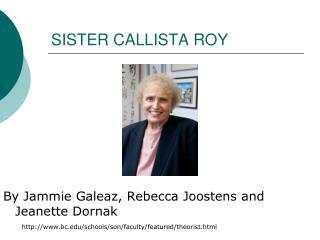 Our faculty bring to the community of Jacksonville a tremendous amount of expertise in areas from aging and art to weather and zoology. 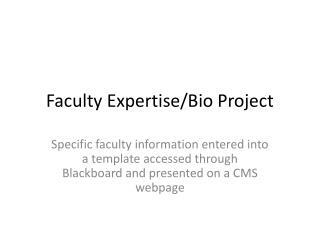 The Faculty Expertise/Bio website has been developed to achieve several goals and will reach both internal and external community members. 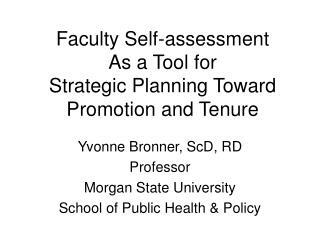 Goals of the Faculty Expertise/Bio Template? 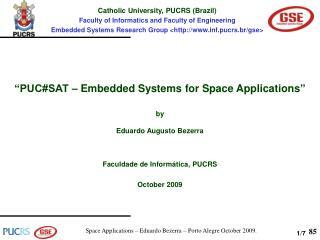 To create an “expertise” database easily accessed by the community. 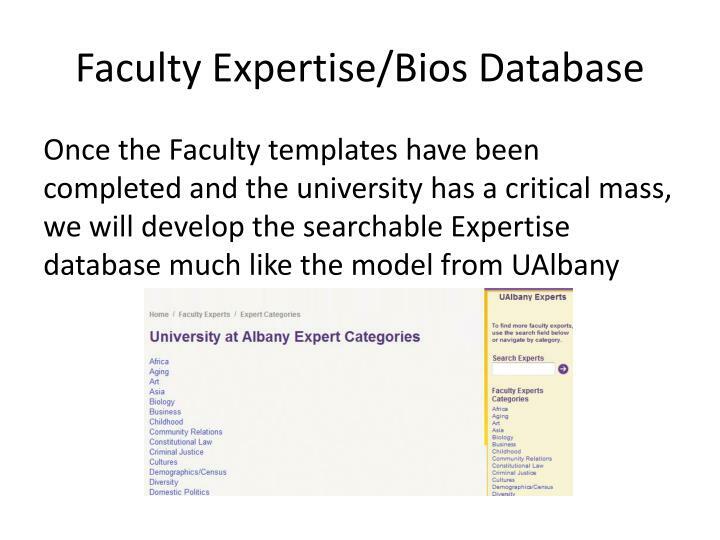 Most universities now have expertise guides or databases. 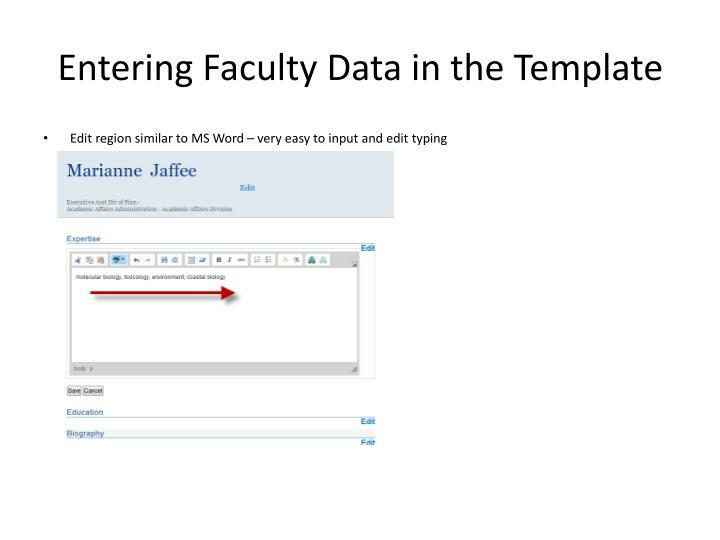 To consolidate faculty data and provide a one-stop resource for various constituencies to get faculty information (media, institutional advancement, Academic Affairs, ORSP, etc). 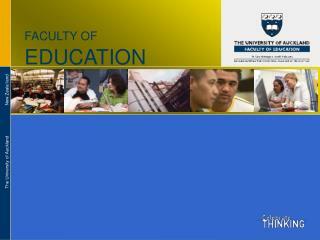 a global directory of all faculty to replace the current Faculty Directory. 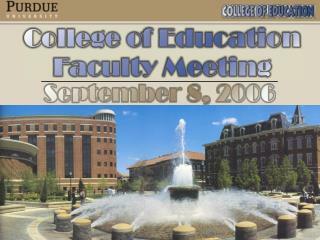 a college level directory of faculty. 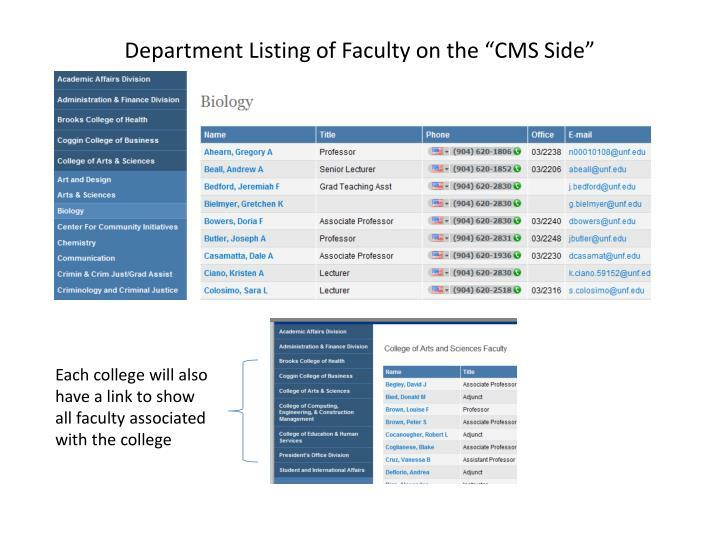 For example, on the Dean’s landing page, there would be a link to “Faculty” which would link off to a listing of the entire college’s faculty listing. 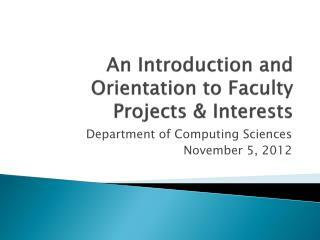 a department level directory (this is optional) for easy access and accurate information on department faculty. 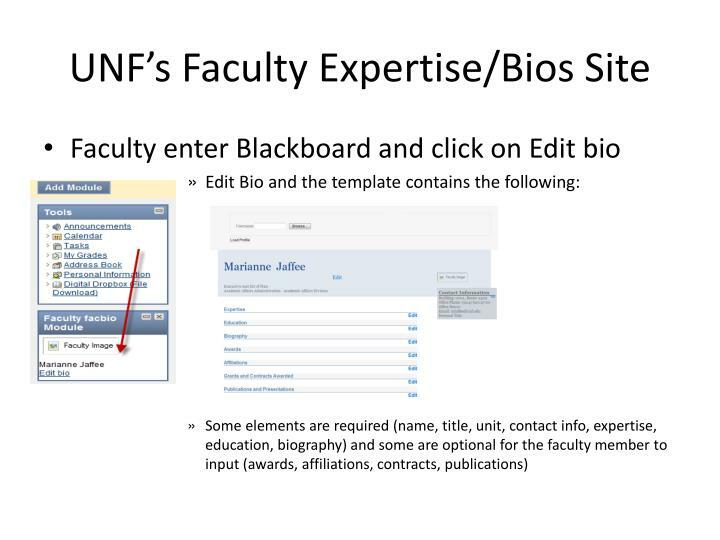 To provide a template for faculty easily accessed through familiar environment (Blackboard) to input brief biographical information and areas of expertise. 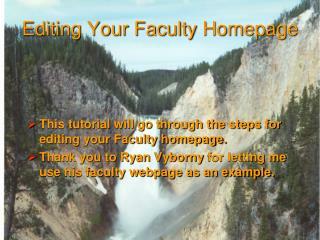 This template could replace or supplement individual faculty webpages . 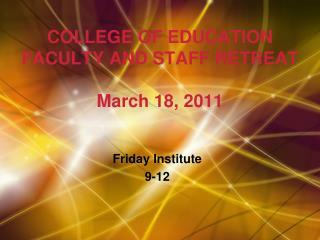 A state or national event occurs – the news media is anxious to quickly find a faculty member expert in that issue to be interviewed. 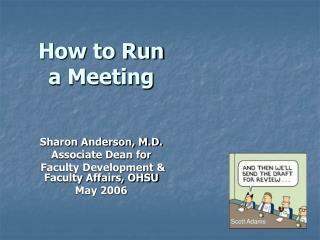 The Chancellor or Governmental Relations request that Academic Affairs, Deans, Department Chairs provide some faculty names knowledgeable about a contentious issue to give a presentation to the state legislature. 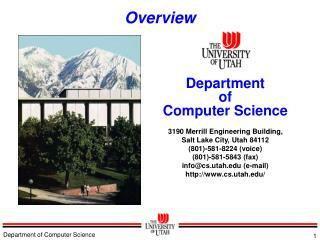 Agencies needing a expert to testify or help with an ongoing crime/lawsuit, etc. 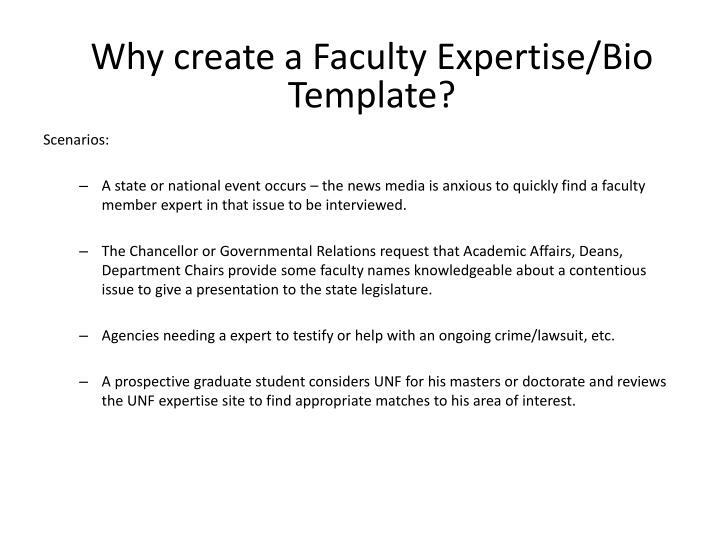 A prospective graduate student considers UNF for his masters or doctorate and reviews the UNF expertise site to find appropriate matches to his area of interest. 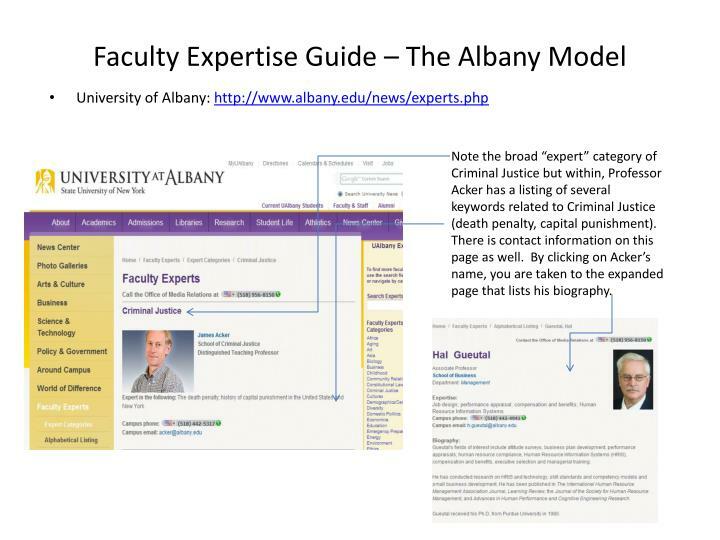 Note the broad “expert” category of Criminal Justice but within, Professor Acker has a listing of several keywords related to Criminal Justice (death penalty, capital punishment). 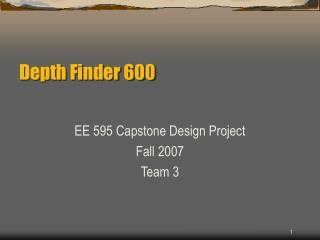 There is contact information on this page as well. 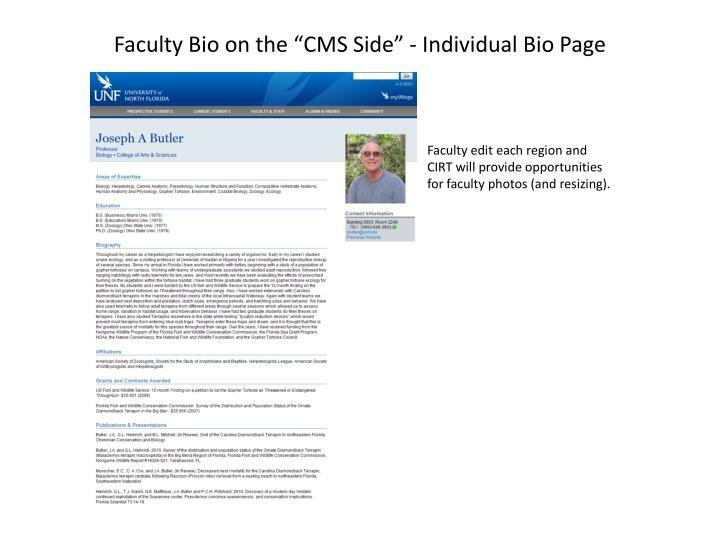 By clicking on Acker’s name, you are taken to the expanded page that lists his biography. 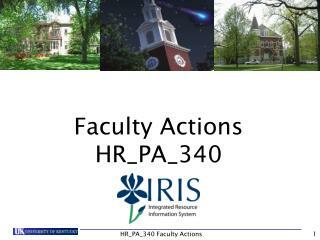 for faculty photos (and resizing). 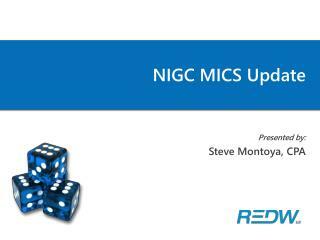 NIGC MICS Update -. 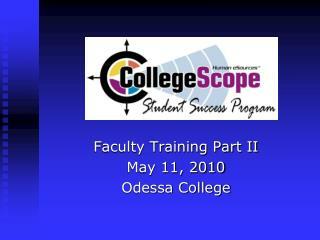 presented by: steve montoya, cpa . 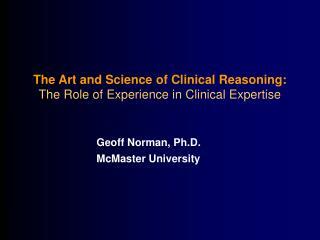 expertise. 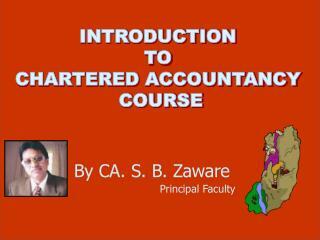 history applicable nigc mics requirements nigc mics checklists questions. agenda.